In recent months, the media has published several unflattering articles about modified cars. 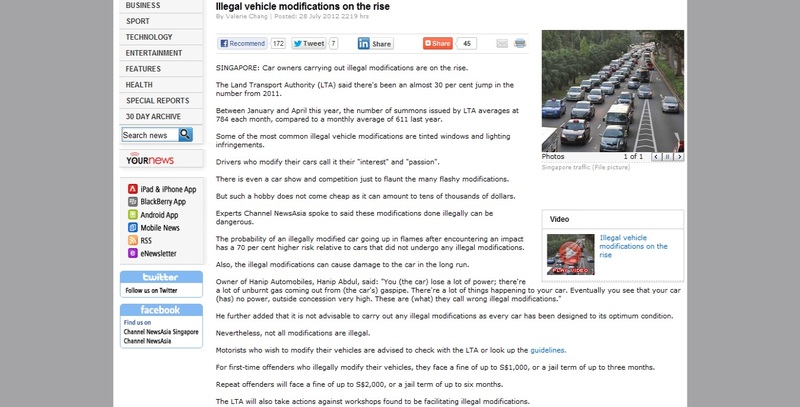 ChannelNewsAsia was the first to publish such an article about vehicle modifications being on the rise. First they mentioned that lighting and window tinting infringements were the most common offences. They it wrote about unspecified sources that showed “The probability of an illegally modified car going up in flames after encountering an impact has a 70 per cent higher risk relative to cars that did not undergo any illegal modifications.”. Who knew that lights and window tinting would make a car more flammable? Then some vehicle workshop owner decided to show his “familiarity” with vehicles and said “You (the car) lose a lot of power; there’re a lot of unburnt gas coming out from (the car’s) gaspipe. There’re a lot of things happening to your car. 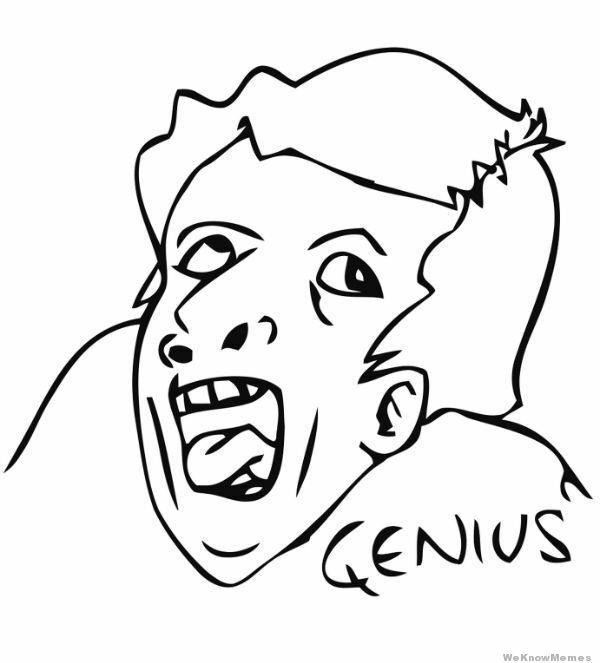 Eventually you see that your car (has) no power, outside concession very high. These are (what) they call wrong illegal modification”. Trying to understand that statement gave me brain tumour. When properly done, a modified car should not lose power but gain it. Unless by modifications he meant fuel saving devices and all other things that is meant to help you reduce fuel consumption, but those things are by no means illegal. What he meant by “concession very high” left even more scratching their heads. Such statements left many enthusiasts outraged but most brushed it off after several days because most of the enthusiasts who love their cars, will find that what ever was said made no sense. Everything seemed fine until the TodayOnline published an article about LTA reviewing its framework for harsher penalties with regards to modifications, things started to get serious. This sparked an outcry on a much larger scale as compared to the Channel NewsAsia because for the first time, our passion and love for cars is genuinely being threatened. In a previous editorial, I have written about the double standards of vehicle modification that has posed a problem to enthusiasts here. Many enthusiasts have left their comments in one of our most read and most commented posts ever, simply because everyone shared the same sentiments. The issue of illegal modification on the rise is simply the result of LTA increasing their man-power and extended operating hours of the inspection center. When you stop using your hands to swat flies but instead, use a Baygon spray, you obviously would expect to kill more flies. Mr Gan Thiam Poh then went ahead to generalize that modified vehicles were “were not only noisy but could also pose a danger to other road users if modified incorrectly.” As previously mentioned in the other editorial, there are many instances that modifications can cause potential danger to other road users. There however are also many examples that can be used to show that “illegal” modifications can also improve safety, as mentioned here in Brendan’s letter. He went further to say that all modified cars are “potential troublemakers”. This is criminalizing everyone who has a modified car to deem them as a troublemaker. What the general public seems to realize is, whether or not a person is a nuisance on the road does not depend on the car they drive. If Bus drivers can cause harm driving at low speeds, should buses be clamped down upon too? The cherry on top of the cake came when Transport consultant Tham Chen Munn said “This is simply because the intentions of the driver are quite clear: The car will be used beyond its normal operating intention, and this endangers lives,” he said. This unfair generalization that all cars with illegal modifications (loud exhausts and Day time running lights also deemed illegal) endangers lives. Omitting all the scientific Mambo Jambo in relation to the center of gravity, geometry and everything else about a car, if it was able to drive with a MAXIMUM cornering speed on a specific corner of 80km/h, accidents are caused by people who over step that boundary and attempt to corner at 90km/h. Do those cars have to be modified before it endangers lives? No. A modified car however with a lower center of gravity and better handling components (such as a roll cage which is also illegal) might be able to take that corner at 100km/h, accidents would still be caused if the driver attempts to overstep that boundary and corner at 110km/h. Accidents will occur regardless of car, modified or not. It all depends on the driver to be able to understand he vehicle enough to know its limits. But with everything taken into consideration, this does not mean a person with a modified car will attempt to corner at 100km/h at every corner and this is indeed an unfair generalization. What this does for most owners is it gives them a greater stability when taking the corner at 80km/h and there is less likelihood that the owner will lose control at that speed when it is 20km/h under it’s mechanical limit. Mr Tham went as far to say that authorities should raid workshops and clamp down on modifications, an action which could potentially threaten the livelihood of many Singaporeans. Paya Ubi, Ang Mo Kio Autopoint, Sin Ming Autopoint all filled with people who will have their rice bowls threatened if this action is put into place. Our friend and editor from 9tro magazine Brendan recognized the seriousness of this issue and stayed up till 4am last night to draft a letter to LTA in rebuttal to this insanity that has been suggested to the transport minister. Enthusiasts have also taken it upon themselves to start a Facebook page to raise awareness about the issues https://www.facebook.com/StopCriminalisingCarEnthusiastsSG. The page started less then 24 hours ago saw over 530 likes and the number has been climbing steadily. Help and support these causes because the very essence of our love for motoring is currently being threatened. Hopefully some where along the chain of command will recognize that modified cars are not the problem, but instead more should be done in promoting driving road safety instead. Afterall its the people behind the wheels that cause danger, not the car.